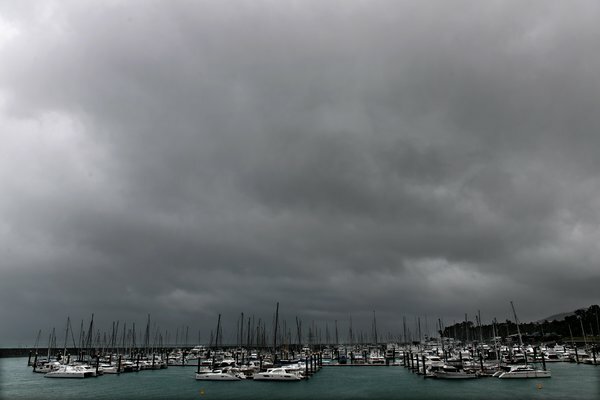 SYDNEY, Australia — A powerful cyclone packing wind gusts as high as 160 miles per hour struck the northeastern coast of Australia on Tuesday, forcing tens of thousands of people to flee, leaving 48,000 homes without power and drenching Queensland with heavy rains. The Category 4 storm, named Cyclone Debbie, battered the tourist islands off the coast before hitting the mainland with its full fury, gathering enough force that officials feared the potential for widespread damage. Aggravating the situation was the storm’s slow, potent march onto the coastline. Officials said at least one death had been linked to the worsening weather. Among the concerns was further damage to the Great Barrier Reef, which has already been seriously degraded by warming waters. Early Tuesday, Annastacia Palaszczuk, Queensland’s premier, said she was particularly concerned about the damage from winds. “There is a very destructive core as part of Cyclone Debbie, and we are monitoring that on an hourly basis,” she added. “We had to take the unprecedented step yesterday afternoon of seeking to evacuate some 25,000 people. This was the right step to do because we’re very concerned about the expected tidal surge that was going to happen around the Mackay region,” Ms. Palaszczuk said. Strong wind and heavy rain lashed Airlie Beach on Monday as the cyclone approached. Officials warned residents earlier on Monday to leave the area before it was too late, as dangerous storm tides, powerful wind and heavy rain were expected to batter the region. 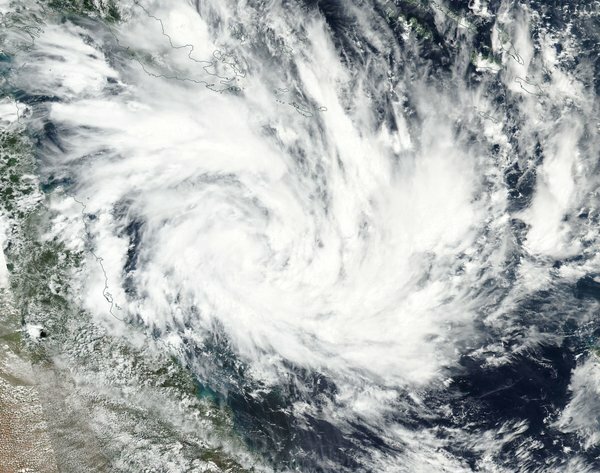 Mr. Gunn said the cyclone was of a size that had not been seen in the state since Cyclone Yasi, a severe tropical storm, hit in 2011. 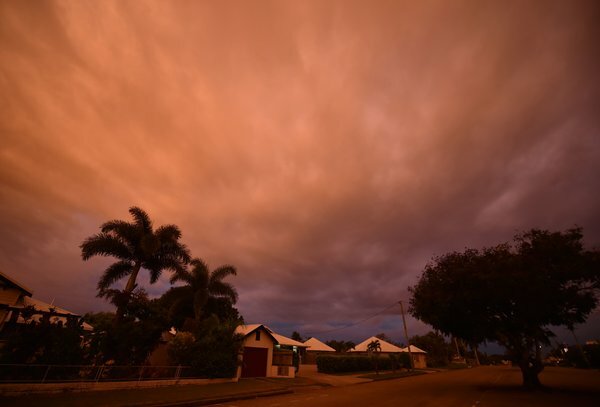 That storm, which caused billions of dollars in damage, was one of the most powerful cyclones to have affected Queensland since record-keeping began, according to the Australian Bureau of Meteorology. The weather bureau said wind caused by the storm this week could be strong enough to blow away cars. Queensland’s police commissioner, Ian Stewart, said one tourist had died in a crash on Monday in an accident that was believed to be associated with the already severe weather. Evacuation centers have been set up in areas like Proserpine and the Whitsundays, and buses were taking people to Cairns, a city in far north Queensland. All commercial flights to and from Townsville Airport were canceled. State officials said they had deployed scores of additional emergency workers to the region.